Residents of Wyong, as well as the residents of Newcastle, the Central Coast, Maitland, Hunter Valley and Lake Macquarie, have long relied on our carpet cleaning services. We have the testimonials to prove it. 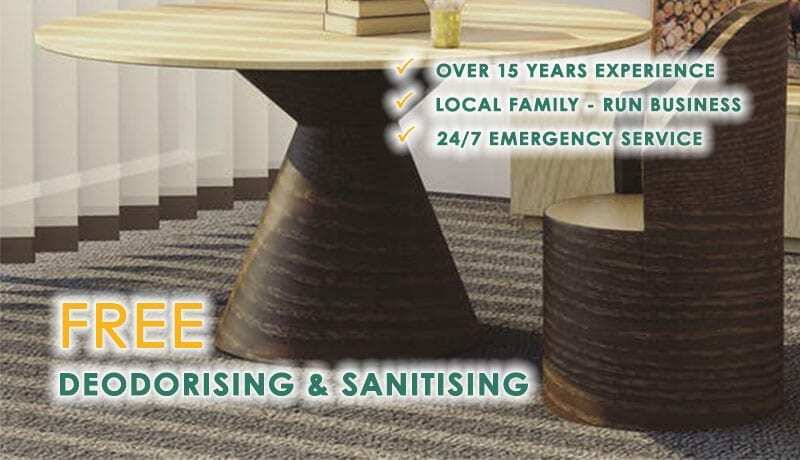 Form our two locations in Newcastle and Mandalong we have been providing high quality carpet, rug, upholstery and mattress cleaning services for over 18 years. Our customer’s faith in us is the result of always being upfront and transparent in explaining what our service can accomplish and the chemicals we use. Our cleaning technicians are all fully certified by the IICRC (Institute of Inspection and Restoration Certification). We are prompt to our appointments and respectful and discreet about working in our customer’s homes. We endeavour to keep disruptions to the absolute minimum. We are firmly convinced through years of experience that the best and most thorough way to clean a carpet is by steam cleaning it. By using steam, we are able to reach deep into the carpet pile to loosen all the dirt and grime from the base of the carpet fibres. Then, using strong suction, we can completely remove years of dirt and grime from your carpet. On the other hand, carpet dry cleaning uses a pad to clean only the top layers of your carpet. The process completely ignores all the built-up dirt that has collect at the base of your carpet fibres. While the results may look clean in the beginning, after several days of foot traffic that dirt rises once again in your carpet to become noticeable. Our feeling is that our customers are spending good money to have their carpets thoroughly cleaned, so steam cleaning is the only reliable method to thoroughly do the job they are paying to have done. We offer the same quality of steam cleaning services for rugs, upholstery and mattresses as we do for carpets. And one of our most vital services is that of flood damage restoration. We are open 24/7 to receive and respond to calls concerning flood damage to residents of Wyong, whether it’s due to a natural disaster or an overflowing toilet. By providing prompt and effective treatment of water damage to carpets, we can save you the costs and considerable inconvenience of having to replace your carpets. We’re always happy to answer any questions you may have concerning any of the services we offer. Just give us a call to enquire about services or make an appointment.